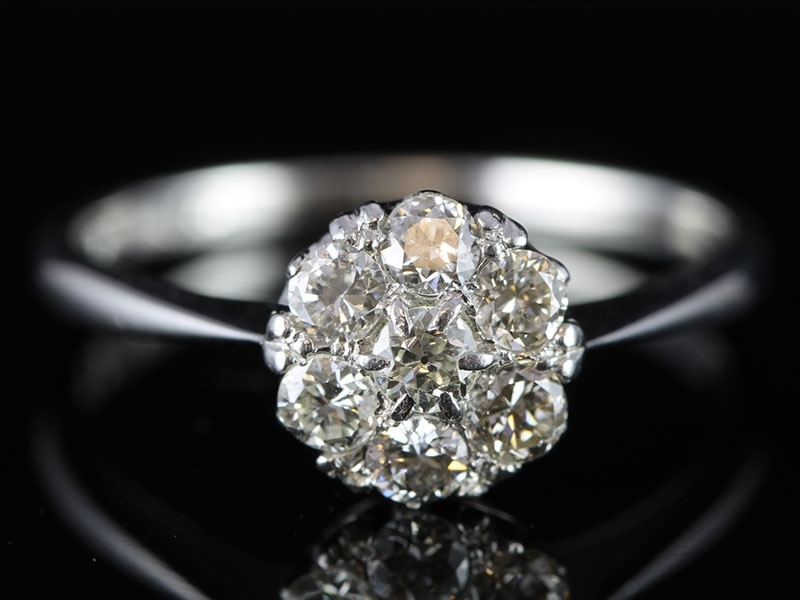 A stunning, fine and impressive 3.40 carat Diamond and Platinum cluster ring. 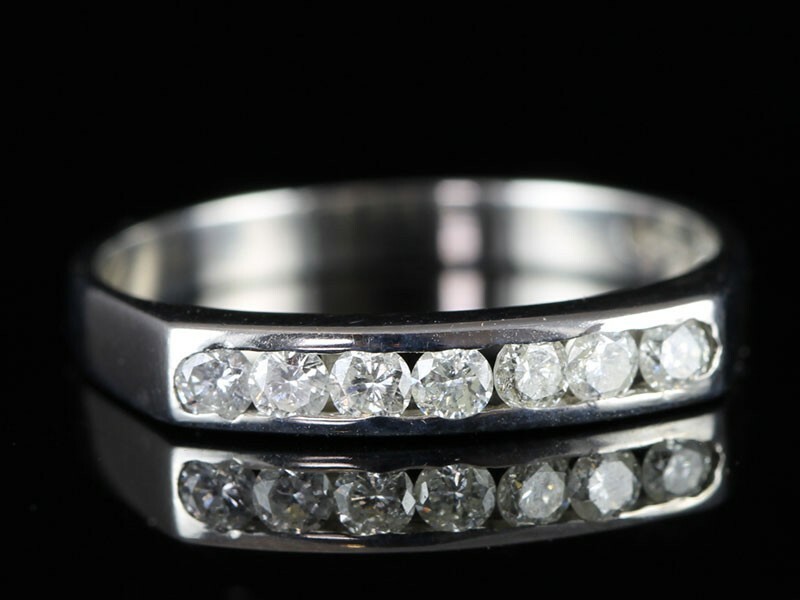 This stunning dress ring had been hand crafted in Platinum. 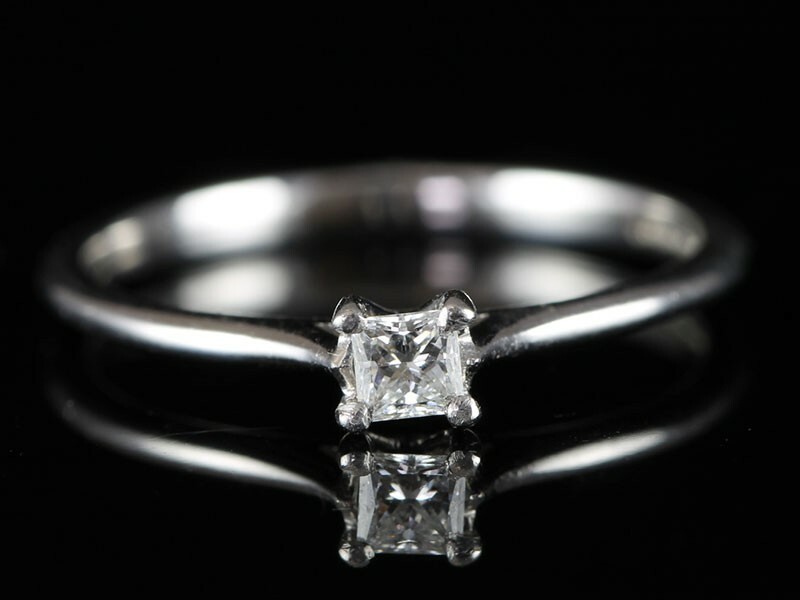 The Platinum frame displays a feature One carat old mined Diamond collet set in subtle relief to the centre. 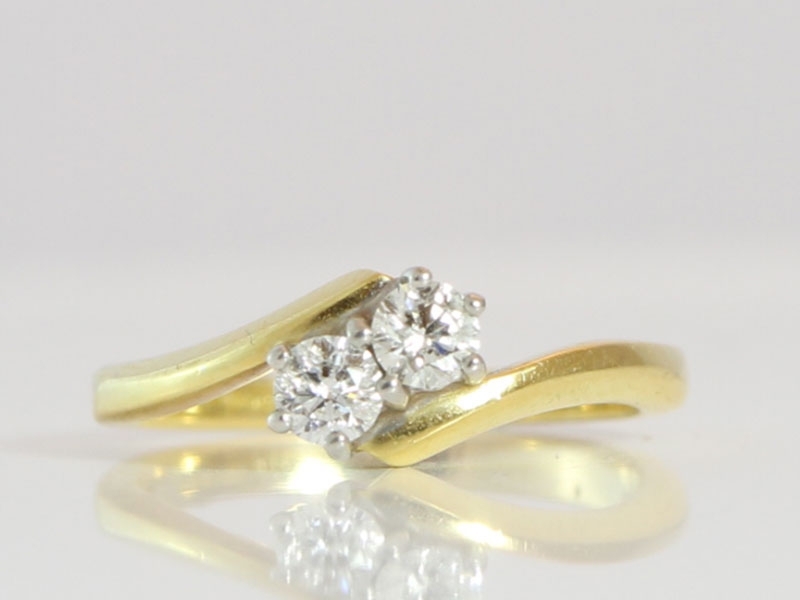 Stunning modern rub-over set in 18 carat Gold. 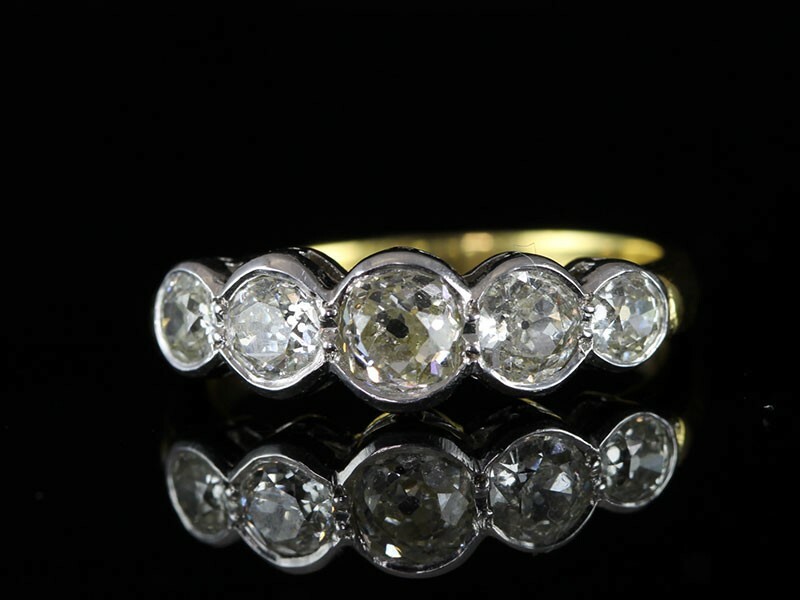 This beautiful 5 stone Diamond ring has 5 old mine cut Diamonds totalling 1.50 carat all of H colour. These old mine cut Diamonds are beautifully set in 18 carat white Gold leading to an 18 carat yellow Gold hand crafted shank. 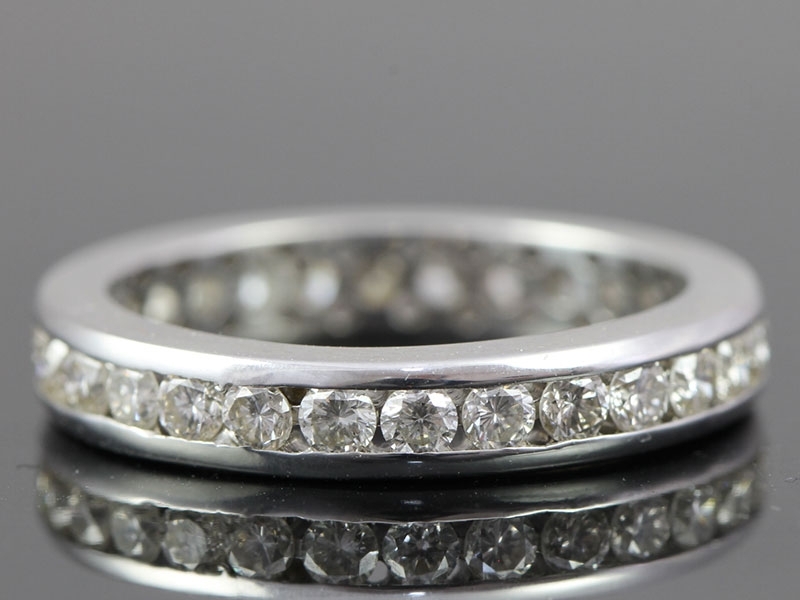 A beautiful full eternity ring would be the ideal gift for a significant anniversary or simply as a symbol of your love and commitment to the special person in your life. 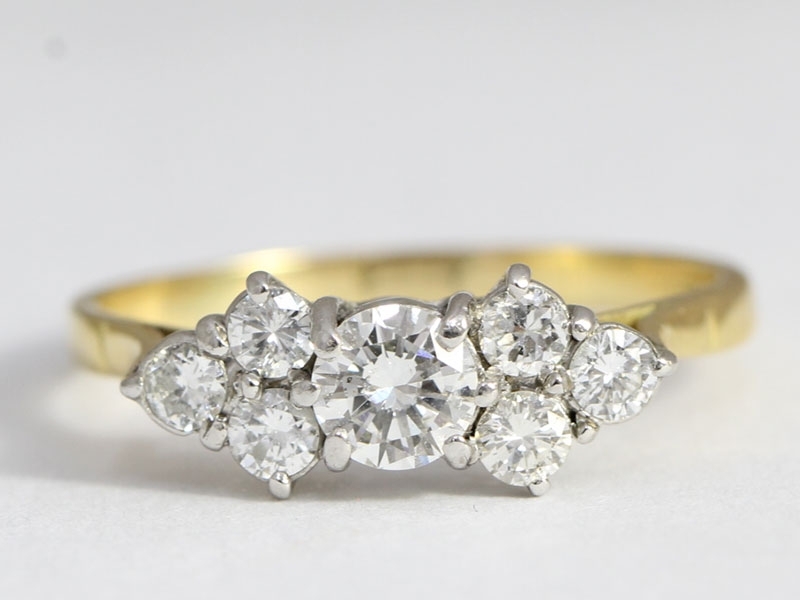 This beautiful 18 carat yellow Gold cluster ring boasts seven modern round Brilliant Cut Diamonds forming a flower or daisy shape creates this lovely Diamond cluster daisy ring. 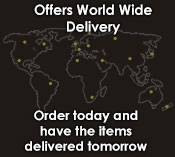 Enjoy the beauty of stylish elegance and modern design and take your fine jewellery collection to the next level. 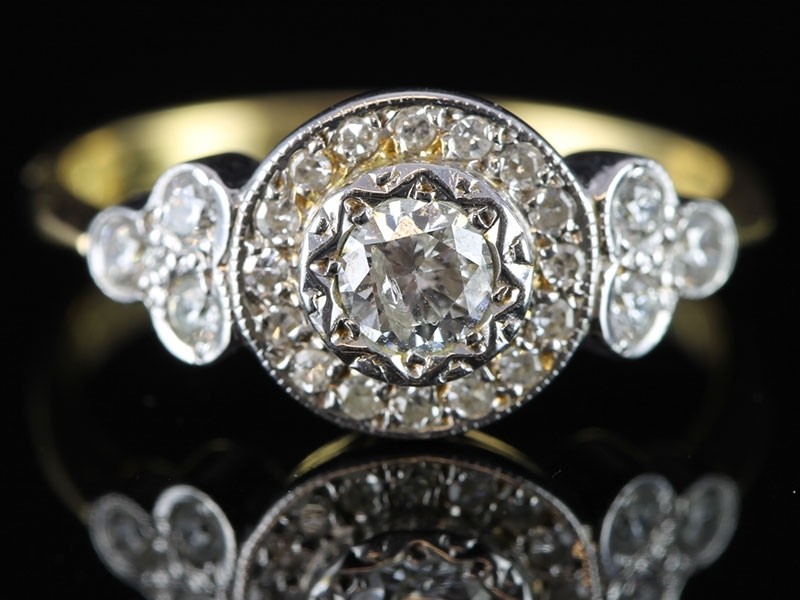 Enjoy the beauty of classic design and sheer elegance with this beautiful cluster style Diamond ring, sure to be noticed. Enjoy the beauty of a simple yet elegant design that showcases the natural beauty of diamonds with this charming cluster diamond ring, featuring seven dazzling Round Brilliant Cut stones all beautifully held in a classic claw setting. 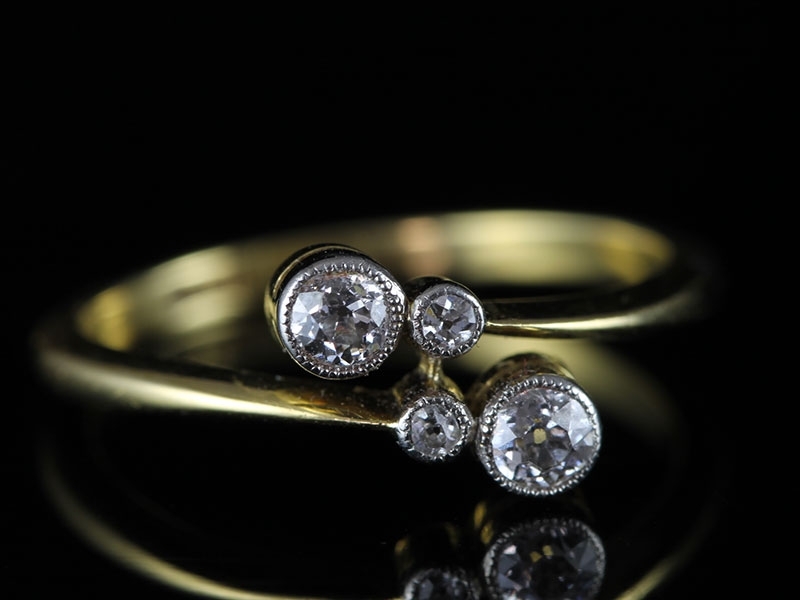 Enjoy the beauty of classic styling with a modern and eye catching twist with this gorgeous Diamond ring that showcases not one but two dazzling Round Cut Diamonds, set in a unique split band with a flowing twist design. 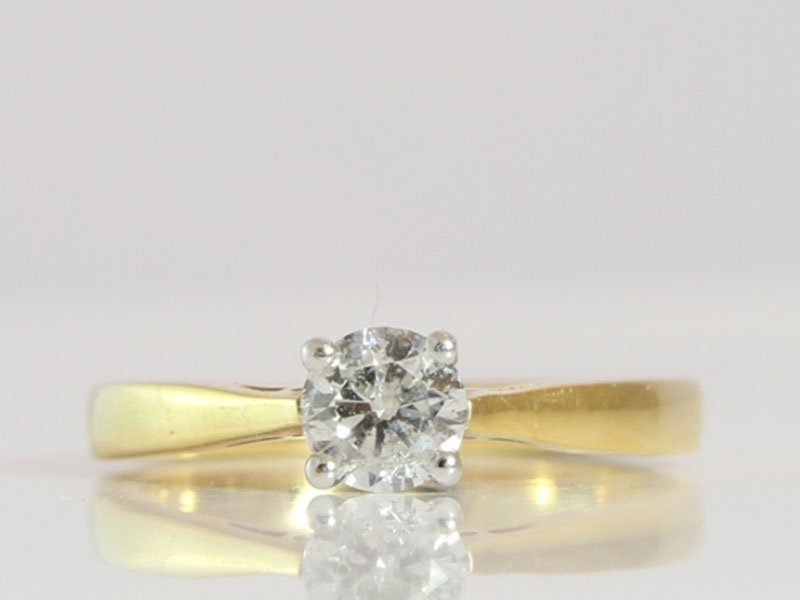 Enjoy the beauty of classic design with clean lines and sleek styling in this beautiful solitaire style Diamond ring, featuring a sparkling Round Brilliant Cut Diamond in a stylish four claw setting. 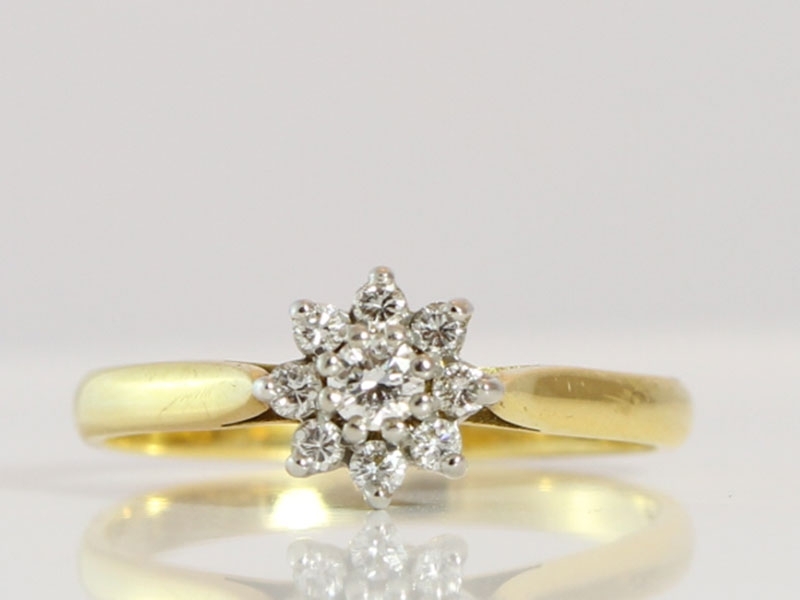 This beautiful ring boasts five fabulous delicate Diamond Daisies consisting of dazzling white high quality Diamonds are set within an open double band beautifully set with extra Diamonds for that extra sparkle! 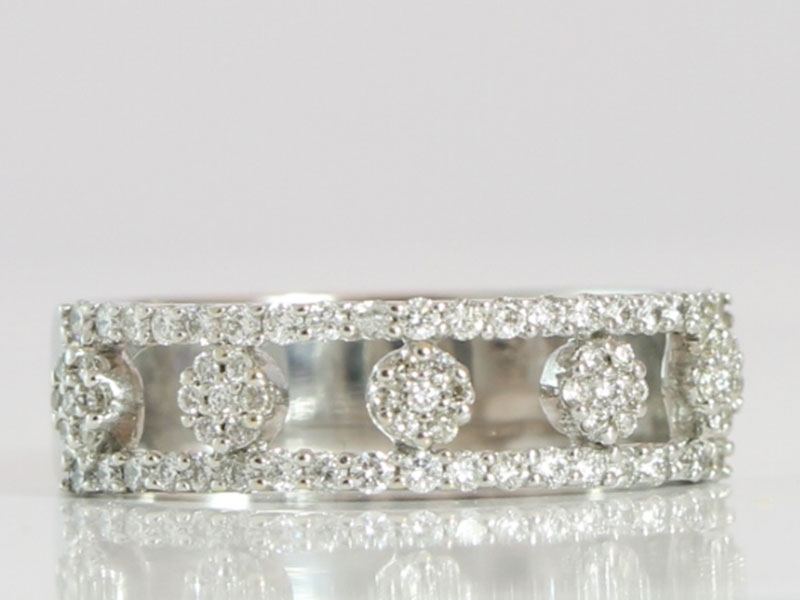 The endless band of an eternity ring symbolises eternal love and commitment. They really don't come much more elegant than this. 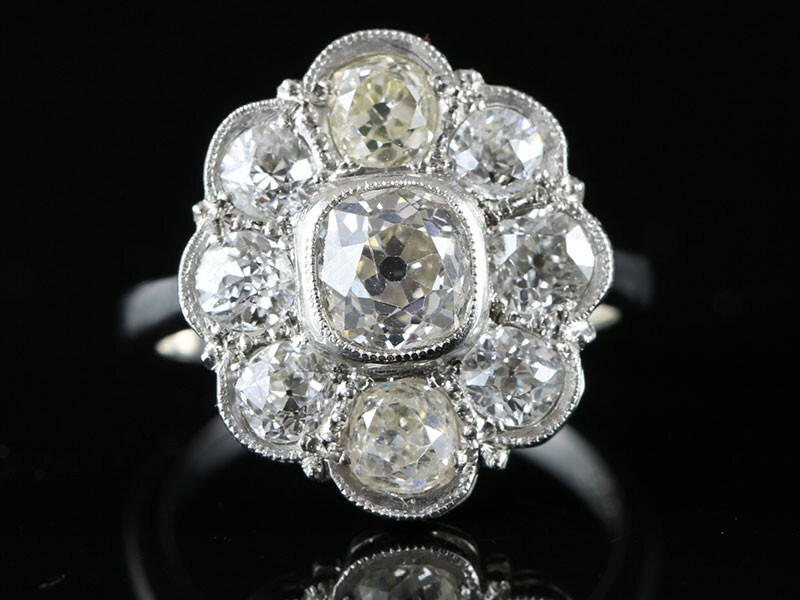 The cluster design of this Diamond ring makes it a glamorous and elegant piece with a timeless look. 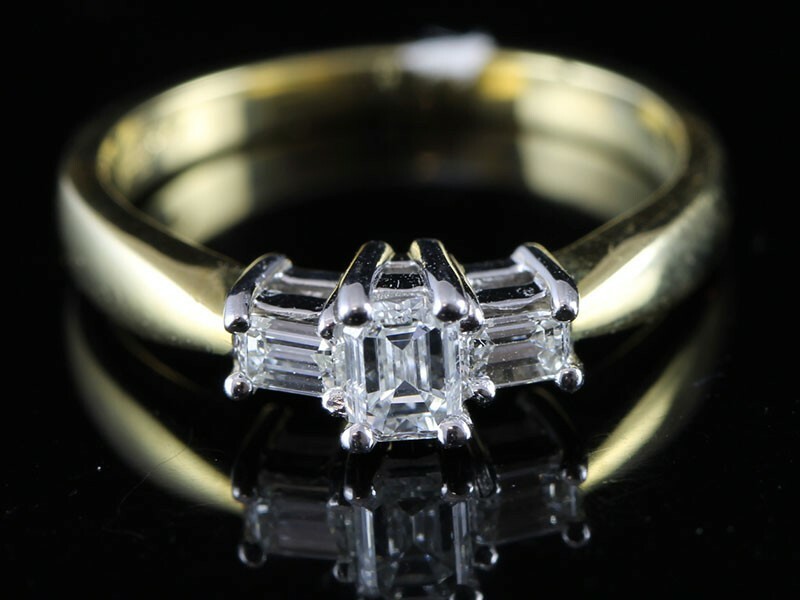 An unusual trilogy of Diamonds featuring a central Emerald Cut Diamond held with 4 claws set in between a matching pair of Baguette Diamonds. 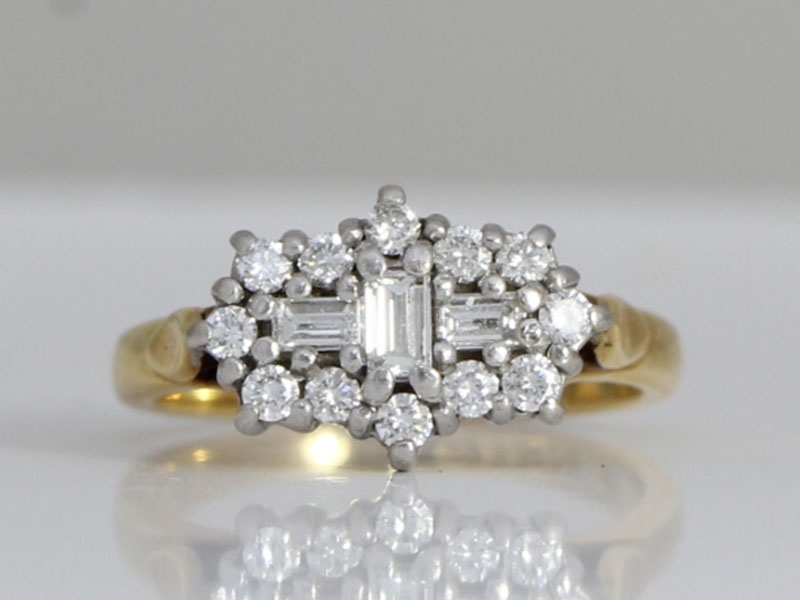 This is an Art Deco era ring that is breath taking in its design and quality. 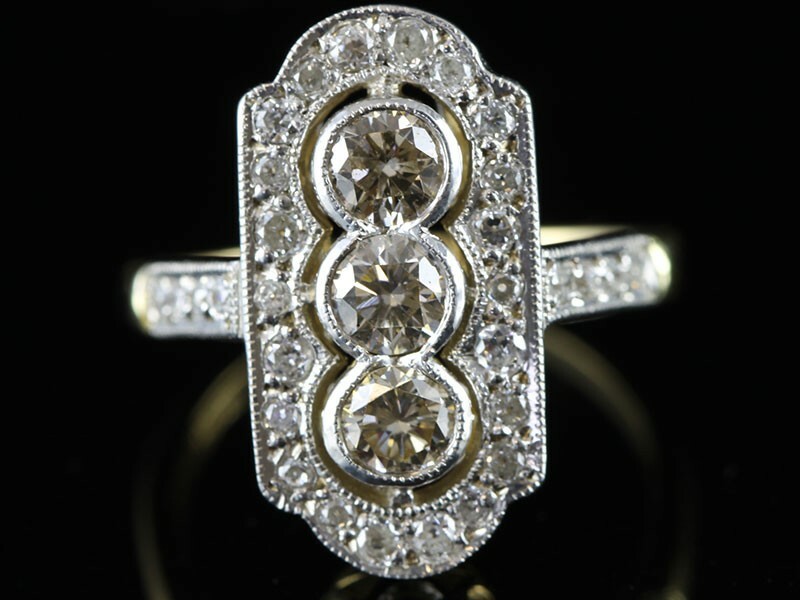 A stunning three stone Champagne and White Diamond inspired Art Deco ring in a handcrafted 18 carat White Gold. 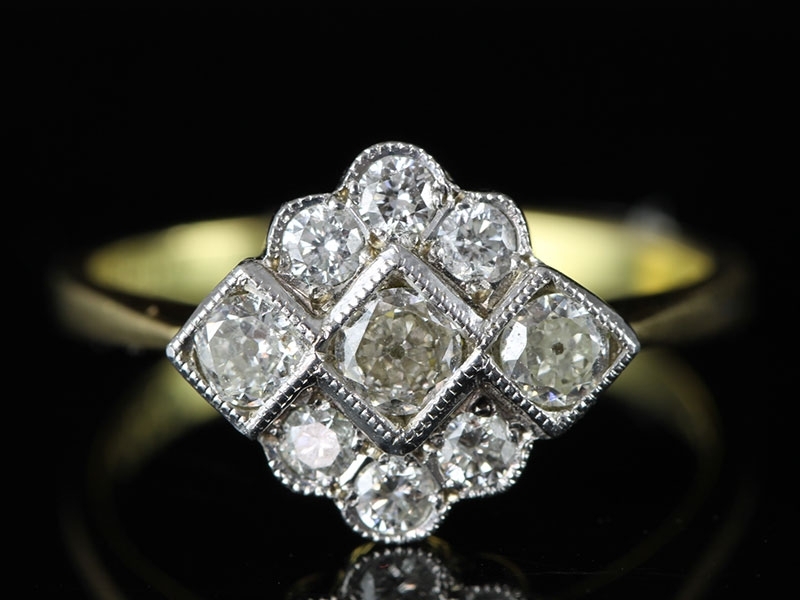 Enjoy the beauty of this Art Deco inspired eye catching Diamond ring that showcases 9 Brilliant Cut dazzling Diamonds in a geometric pattern using clear cut bold shapes which characterises this beautiful ring. 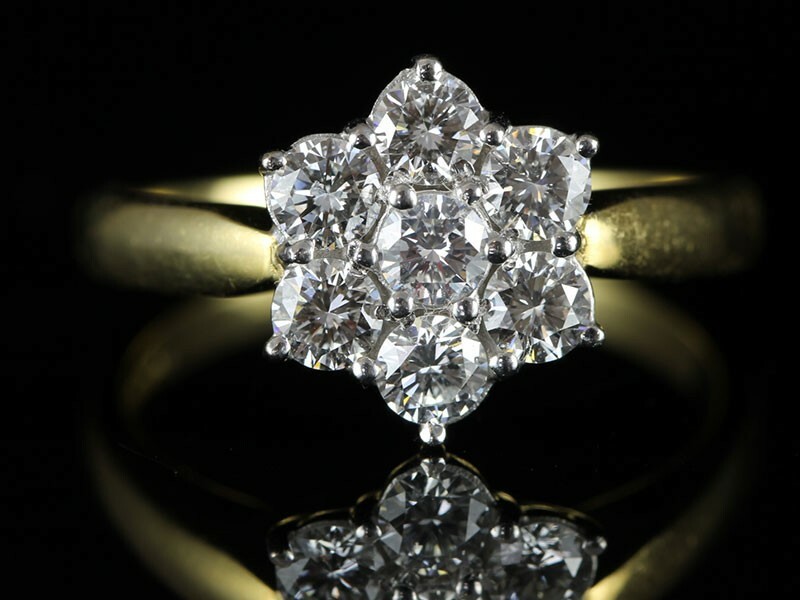 This exceptional seven stone sparkling Diamond seven stone ring is guaranteed to make her smile. Featuring seven Modern Brilliant cut sparkling Diamonds which are held in a claw setting. 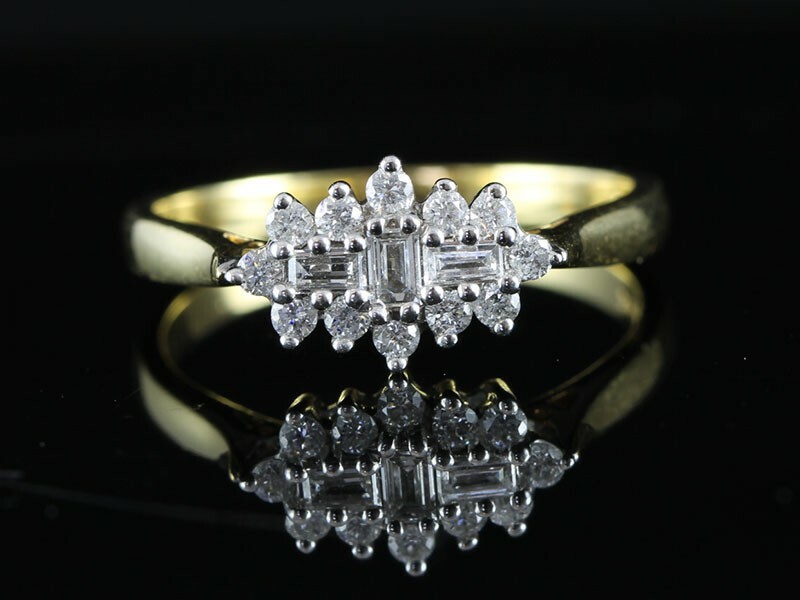 Epitomizing the distinct geometrically inspired jewellery style of the Art Deco era, this classically elegant Diamond ring will be sure to get noticed. There are a total of 23 sparkling Diamonds. 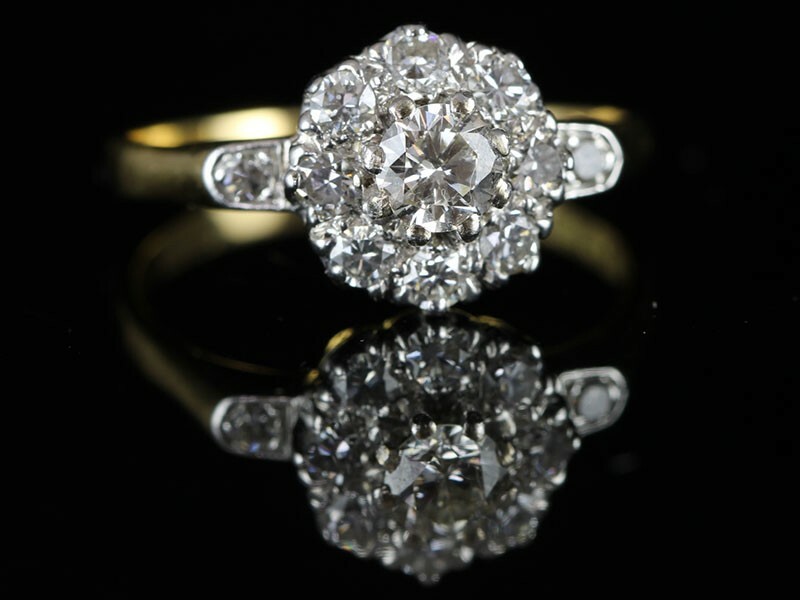 This 7 stone sparkling Diamond cluster ring is absolutely fabulous. The Diamonds are all stunning modern Brilliant Cuts and they total 0.40 points.